GLORIOUSLY TRANSFORMED! /SUPERIOR QUALITY AND FINISHES! 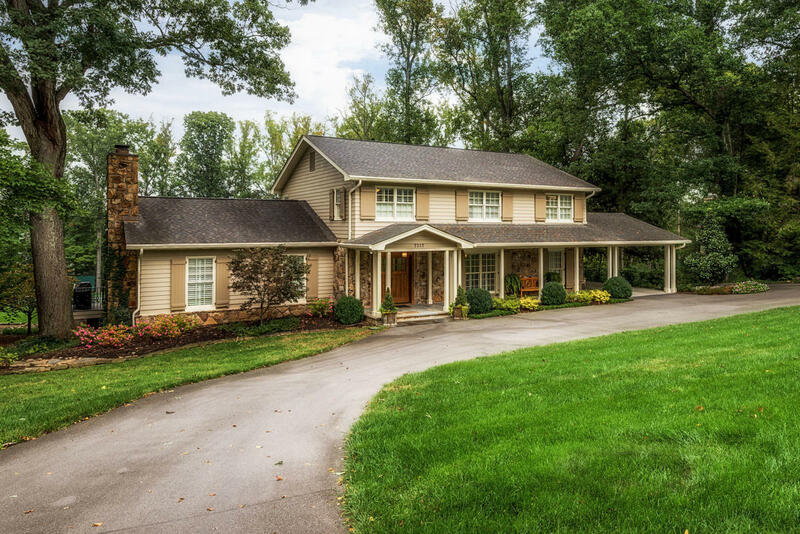 A TOTAL ''Trophy House'', this property features an oversized Entry Hall, large Living Room, Formal Dining Room w/ built-ins, Sunroom/Breakfast Room/Kitchen/Keeping Room (--an impressive 4-room union - ideal for entertaining or everyday active living). Updated Chef's Kitchen w/dual ovens/warming drawer/Dacor cook top and all high-end finishes. Spacious Bedrooms (4 upstairs; 1 basement) - including large Master Suite with 18 x 15 Bath. Basement Family Room & Rec. Room + Guest Suite (ideal for Nanny or In-Laws). Multiple recent F.E. Trainer-built additions/enhancements. Covered Front Porch, Main Level Parking Pavilion, New Rear Deck & lower Covered Porch. Double-width Circular Driveway, Tennis Court, too. EXPLOSIVE APPEAL!! !